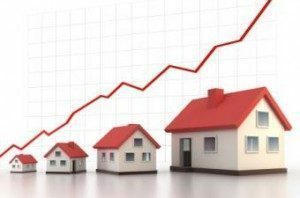 The latest ProTeck Housing Market Report shows West Coast markets booming, which should come as no surprise. However, the only East Coast metro to make the list might not be what you’d expect. According to ProTeck’s report, the Portland-South Portland, Maine, metro landed on the list of top 10 hottest housing markets for April 2018 thanks to strong performance in several of the tracked categories. Portland’s Months of Remaining Inventory (MRI) for April was 2.62, and anything below 3 indicates a seller’s market for the region. Portland’s foreclosures as a percentage of sales are low at 1.63 percent. The Portland metro also featured the lowest average sold price—$265,000—of all the core-based statistical areas (CBSAs) featured in ProTech’s top 10. California metros feature heavily in the ProTeck top 10. San Francisco-Redwood City-South San Francisco sports 2.02 MRI, a 0.76 perfect foreclosures as a percentage of sales, and an average sold price of $1.5 million. San Jose-Sunnyvale-Santa Clarita, California, also graces the top 10 list, with a 1.86 MRI, a 0.94 foreclosure percentage of sales, and a $1.28 million average sold price. In fact, half of the top 10 is made up of California markets: in addition to San Francisco and San Jose, the top 10 includes San Diego-Carlsbad, Oakland-Hayward-Berkeley, and Stockton-Lodi. Nevada is also well represented with two entries on the list. Reno, Nevada, boasts an MRI of 3.28, suggesting a larger inventory skewed more toward a buyer’s market. Reno’s foreclosures as a percentage of sales is very low at 0.46 percent, and the average sold price is $360,000. The other Nevada market cracking ProTeck’s top 10 for April 2018 is Las Vegas-Henderson-Paradise, with an MRI of 3.09, a 2.60 foreclosure percentage of sales, and an average sold price of $275,000. Rounding out the top 10 hottest markets according to ProTech are Colorado Springs, Colorado, and Seattle-Bellevue-Everett, Washington. You can see all the ProTeck data for these markets by clicking here.